I’ve heard SO MUCH about SIX, everyone and their mum recommended it to me, and I finally grabbed tickets. The Queens are back! 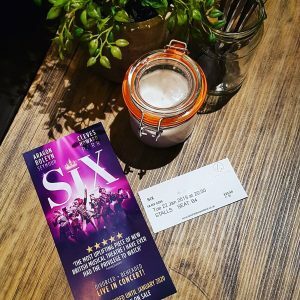 Six is a musical about the famous six wives of Henry VIII, catapulted into the 21st century to take back control and rewrite their stories. 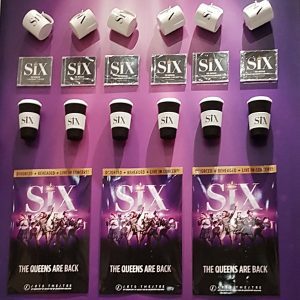 A quirky, modern history lesson extraordinaire, SIX sees the queens re-imagined as modern powerhouses of fierce femininity. From the loyal, betrayed wife to the ruthless femme fatal, each one of the famous wives are portrayed with their distinct personalities and traits they are still famous for. 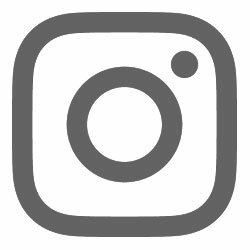 With very catchy songs, oodles of humour, and a modern feminist twist, this musical is truly ground-breaking, an important piece of creative writing based on facts. Powerful voices, fun dance routines, a pop-princess concert vibe, and a positive, fun atmosphere make this musical an absolute delight. Definitely don’t miss out on this gem, it’s absolutely fantastic. I’ll definitely be going back to see it again! Full six out of six rainbow sloths!